German circus and music show Finale will make its Adelaide Fringe debut at Gluttony. The open-access festival will open on February 15 with a street party including Tindo Utpurndee (the traditional sunset ceremony), artist performances, night markets and the switching on of the previously announced light projection project Yabarra – Gathering of Light. 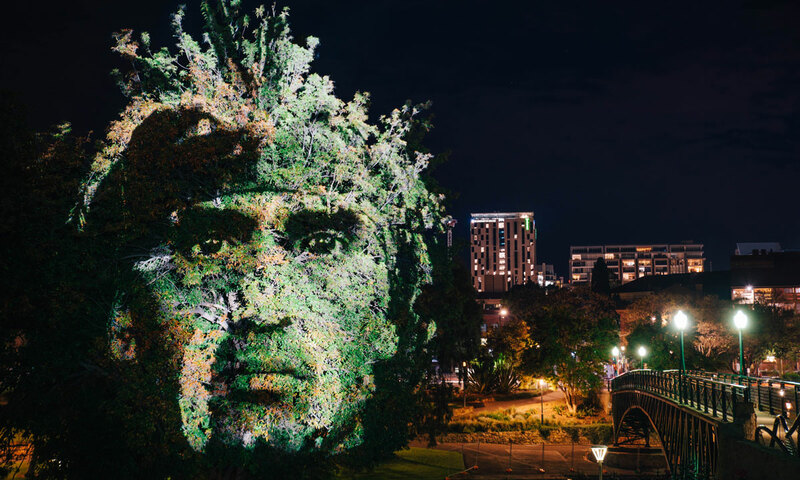 Continuing across all 31 night of the Fringe, Yabarra will illuminate the Torrens riverbank area with projections of native animals and other imagery that share stories from Kaurna country and culture. Next year’s festival will include a total of 1326 events, around 90 more than this year, with a 44 per cent increase in the number of circus and physical theatre shows, a similar rise in the interactive events, and a 21.8 per cent increase in theatre. Fringe director and CEO Heather Croall says the program promises “another month of marvellous mayhem”. Previous hits returning next year include Cirque Alfonse’s Barbu (featuring impressive feats performed by a troupe of hairy Canadian acrobats) and Club Briefs (both at the RCC), Cirque Africa (under the big top in Hindmarsh Square), By a Thread and Rouge (Gluttony). Among the new circus shows are Life – The Show (Garden of Unearthly Delights), a production – or “corruption”, as they call it – by Strut and Fret, the company behind Blanc de Blanc and Limbo, and Chasing Smoke (Gluttony), by Queensland company Casus Circus (Driftwood; Knee Deep), which shares Indigenous culture through a combination of aerial work, dance, sketch comedy and floor-based routines. Gluttony’s Daniel Michael predicts one of the must-see shows of the Fringe will be Finale, which incorporates live music, slapstick, energetic acrobatics and atmospheric lighting: “It is a German circus show, performing tricks in ways Adelaide audiences have never seen before”. The Gluttony hub will grow again in 2019, adding new food markets and bars, as well as expanding to a second site, Masonic Lodge on North Terrace, to help accommodate its total of 160 shows. “It’s only 550 metres away from Gluttony and we’ll have three different performance spaces as well as a bar,” Michael says. RCC Fringe (the former Royal Croquet Club) – which is moving to Adelaide University, with former Adelaide Festival director David Sefton as creative director – is presenting a much bigger program in 2019. It also helps account for the increase in theatre shows, with around 20 theatre works in its line-up including Old Stock: A Refugee Love Story, “a humorously dark folk tale woven together with a high energy concert” inspired by the true stories of Jewish Romanian refugees coming to Canada in 1908. Live From Tandanya is also more than doubling its theatre offering, with productions such as “underground clown cult” show The Lone Pigs and Melbourne Fringe Festival award winner Matriarch, about four generations of Aboriginal women. The Holden Street Theatres hub will present 23 shows across the festival, among them British playwright Henry Naylor’s new work Games, about a Jewish fencer selected for the Nazis’ Olympic team. 30,000 Notes, to be performed before an audience of just 32 people at a time at nthspace Adelaide ((formerly a BMG Gallery space), will see multidisciplinary artist Josh Belperio weave a story of love which incorporates a lifetime of notes, home movie projections and a virtual choir. 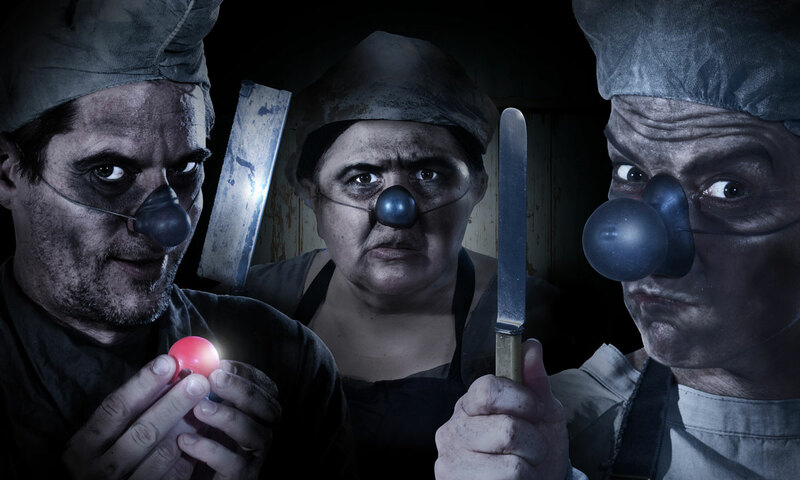 ‘Horror meets hilarity’ in theatre show The Long Pigs. New Fringe venues in 2019 will include the SA Jockey Club at Morphettville (programmed by Emma Knight Productions), The Stag Public House, Sparkke at the Whitmore, and The GC at Grand Central in Angas Street. As usual, there are also a few off-the-wall performance spaces, including the Melbourne St Laundromat, where electronic duo Ironing Maidens will perform using irons and ironing boards as instruments, and a cabin in the Adelaide Caravan Park, which will host the “danced eulogy” Cabin Fever. Comedy and music remain the biggest genres on the Fringe program, with 341 and 260 events respectively, a slight increase since last year. The usual swag of big-name comedy acts is returning, including Fiona O’Loughlin, Arj Barker, Cal Wilson, Dave Hughes, Stephen Amos, Felicity Ward, Joel Creasey, Judith Lucy, Kathy Lette, Lano & Woodley, Sam Simons, Ross Noble, Rhys Nicholson and Tom Gleeson. Pick of the Fringe 2018 The Choir of Man – who combine live music and foot-stomping choreography – will return to Gluttony, as will Hugh Sheridan’s California Crooners Club, while the Garden’s music line-up will include Kate Ceberano, Ella Hooper and Katie Noonan. Other music highlights are a performance at The Jade by award-winning vibraphone virtuoso Nick Parnell, a gig at the Wheatsheaf hotel by looping musicians Adam Page and Tim Bennett, and a performance at the RCC of arrangements from David Bowie’s final album, Blackstar, featuring composer/conductor Evan Ziporyn and New York cellist Maya Beiser. There are also 22 events listed under the new program genre of Workshops & Talks, including Stranger Than Fiction, a conversation with political journalist and TV host Annabel Crabb, a comedy masterclass with Tim Ferguson, and cultural workshops at Tandanya. The full 2019 Adelaide Fringe can now be viewed online.